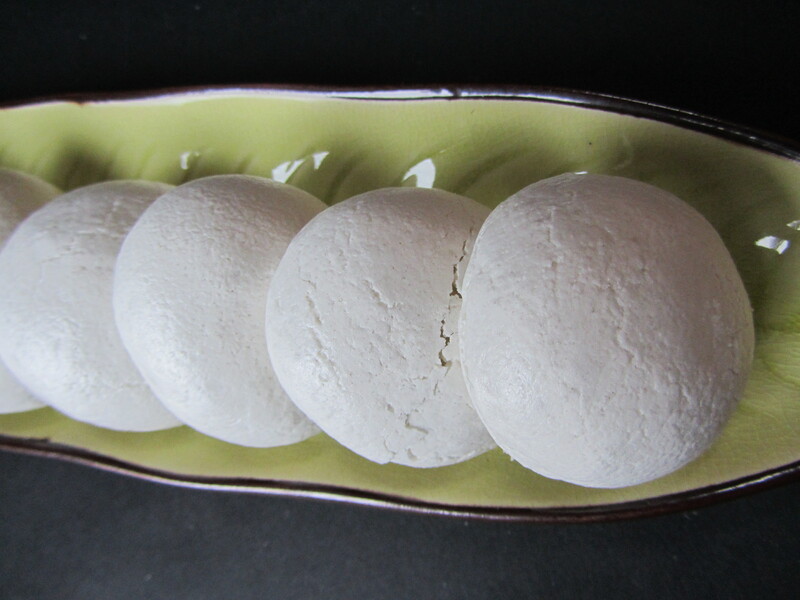 Here it is, at last… drumroll please … the Holy Grail of egg-free / vegan baking, a recipe for proper, homemade meringues that look and taste exactly as they should. Not possible I used to think. I have previously posted about using Angelfoods meringue mix (3M Mess post) and they were good but a bit too crisp and brittle. Besides, using a packet mix is cheating, isn’t it? 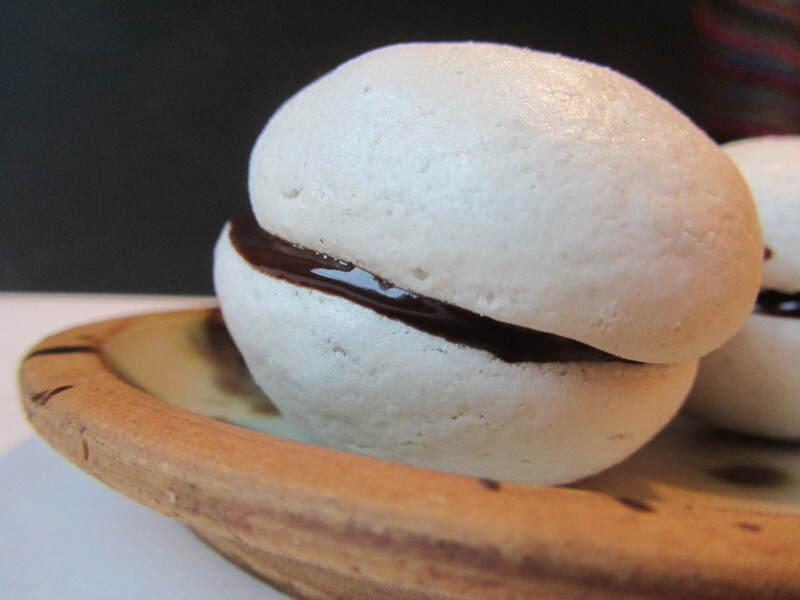 This recipe is tweaked and amalgamated from the only two real recipes for vegan meringues I found online (meat and egg-free.com and Vegetarian Ventures), and a huge thank you to both these bloggers, I would never have considered using soya protein if I hadn’t read their fabulous recipes. 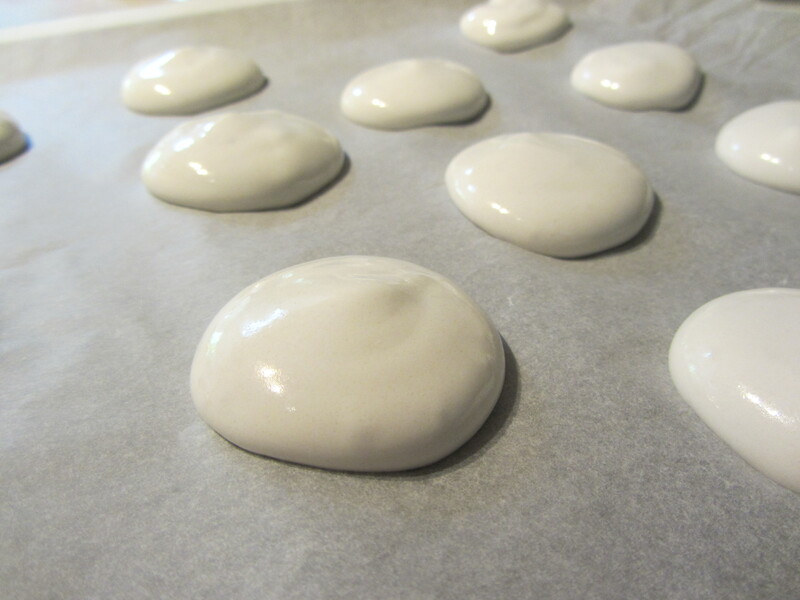 I experimented and fiddled with the recipes, and I’m really happy with how they turned out: pretty much perfect classic meringues but without using egg whites. They’re crispy on the outside, soft and marshmallowy inside. It might seem wasteful to go and buy some soya protein just for this recipe, but it is so good I guarantee you’ll use it again and again. – In a small bowl whisk together the icing sugar, xanthan gum and 1 tsp of soya protein. Set aside. – In a large bowl place the water, vinegar, vanilla and 1½ tsps soya protein. Whisk on high speed for up to 10 minutes until it has increased considerably in size, and is fluffy and bubbly. 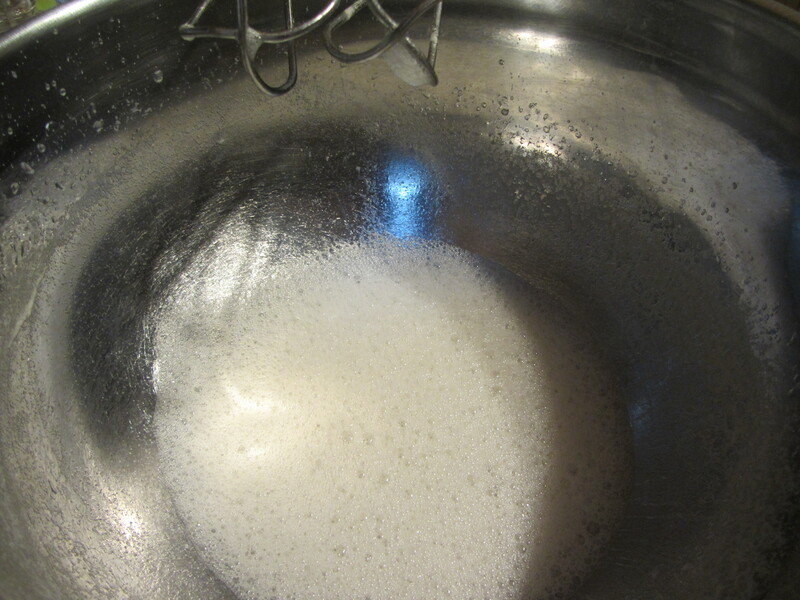 – Pipe or spoon the mix onto the lined baking sheet. 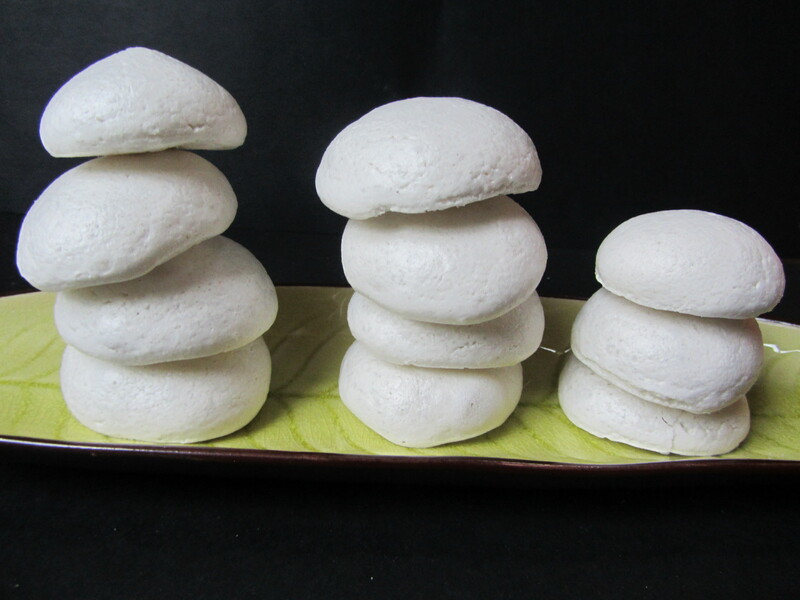 – Place in the oven for up to 1½ hours, until the meringues are totally set and easily peel off the paper. – Remove from the oven, peel off the paper and leave to cool. – Keep in a sealed box until ready to use. The soya protein takes the place of the egg-white and gives substance to the mixture. 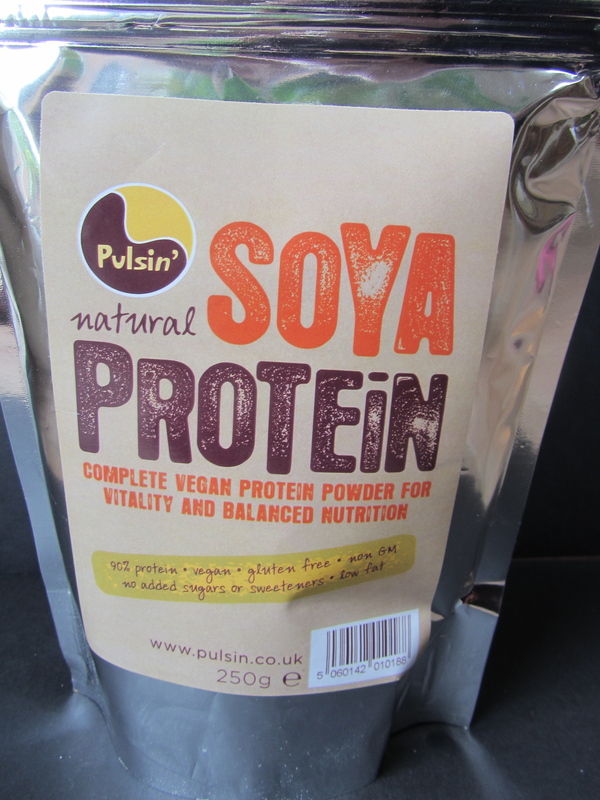 I found a totally vegan soya protein made by Pulsin for sale on Amazon, but be careful as lots of soya protein seems to contain egg or other ingredients you might not want. 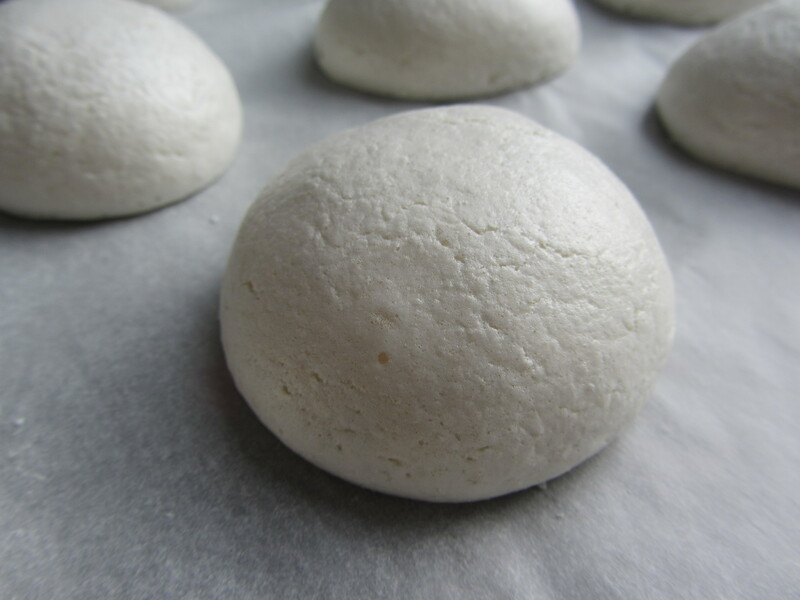 The vinegar gives the soft, squidgy marshmallowy centre which in my opinion is the mark of a great meringue!